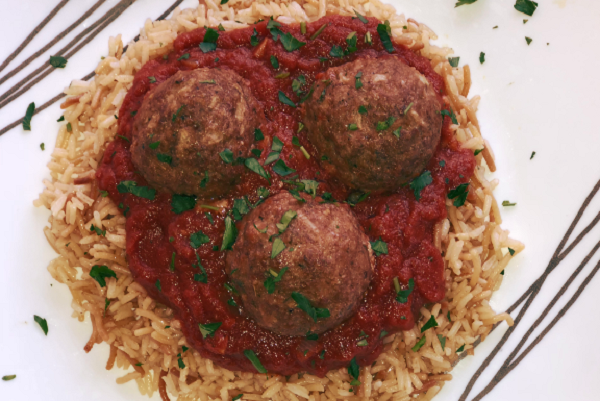 Meatballs - almost every culture around the world has them - including Greece. 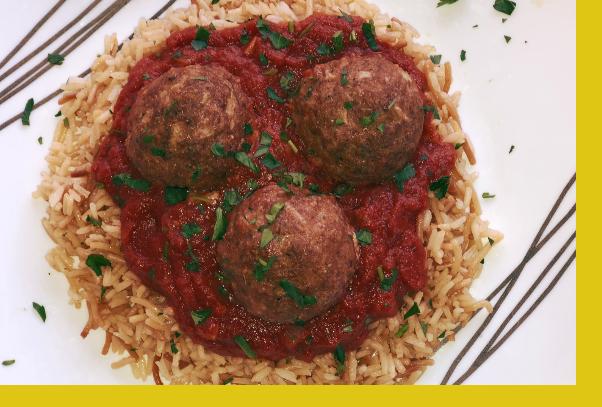 With hints of mint, garlic and cumin, these Greek meatballs will surprise your palate in ways other meatballs haven't. Paired together with a traditional Greek tomato sauce and rice pilaf for a wonderful taste of Greece. Meatballs: Preheat the oven to 350F. Spray supplied pan, place meatballs in pan and bake uncovered for 20 minutes. Rice Pilaf: Reheat rice in microwave on high power for 3 to 5 minutes or until thoroughly warm. Tomato Sauce: Bring to a boil in a sauce pan then simmer. This is one of my favorite dishes, everything was excellent. Very easy to prepare! Family loved it!